If you go to Finland I’m pretty sure you’d like to go to a real Finnish sauna. If you never visited one we encourage you to try this Finnish tradition – and this enjoyment – because, if there is a word in the Finnish language that has consistently made it abroad and you already know, it’d be “sauna”. Imagine the cultural significance behind this achievement. There is one sauna per three Finnish people, or so the statistics say. Many homes come equipped with their own sauna, and for the ones that don’t there is probably one per building to be shared between everyone who lives there. 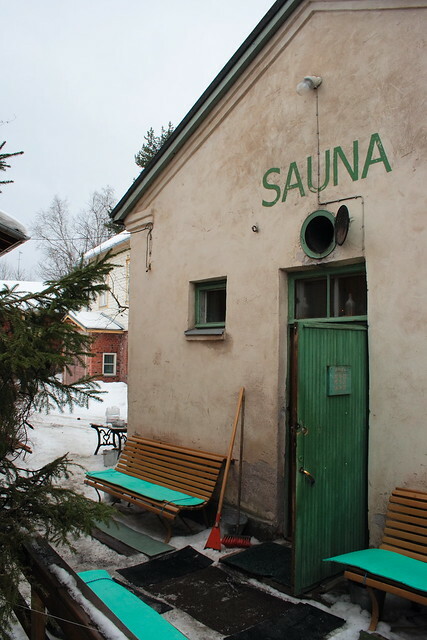 Since, at least for a visit, having access to these private saunas can be a bit difficult, those who travel to Finland and would like to get some steam going can go to the public saunas: the easiest way to get into one. The most well known Helsinki sauna, the one that you probably have seen in pictures, movies or documentaries (for instance in the famous “Miesten Vuoro” documentary about men in the sauna), is the Kotiharju Sauna, open since 1928. Its now classic neon sign on the streets makes it a landmark, especially at night. The sauna is also so close to the street that you can go out and roll around in the snow during the cold months of winter or just to go out to be a bit more fresh in summer. It is located in the street Harjutorinkatu 1. It opens from Tuesday to Sunday from 14h to 20h, and you don’t need to make a reservation if you want to use it along with everyone. If you want to have a private sauna, you can reserve it. It costs 12€ and you can also rent the material you need (including some birch branches to hit yourself or others). This is its website. The type of Finnish sauna, out of the three types, is the wooden version. One note: it is divided between men and women. This public sauna that we are going to talk about is also located in the Kallio district of the capital of Finland. 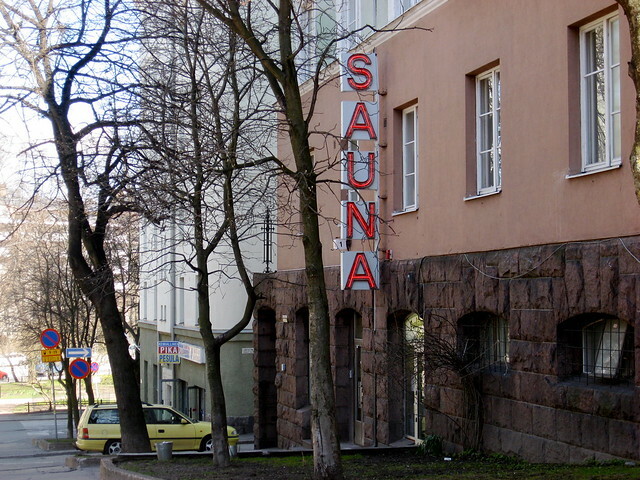 It is the Arla Sauna (street Kaarlenkatu 15). This is its official website, where we can see that it is also from the 20s. Founded in 1929, it is also separated into a sauna for men sauna and one for women. The entry fee is 10€ and you can stay as long as you want for the price. You can go at any time between Wednesday and Sunday, from 14 to 20h, and you can also get a sweet massage on the premises. The Hermanni Sauna is another public sauna in Helsinki. Built in the 50s of the last century, also comes with different sauna rooms for men and women. For this sauna, the admittance fee is also 10€, but its unique selling proposition is that it’s the one that opens more often: Monday to Friday from 15 to 20h, and Saturdays from 14 to 18h. You can rent towels and you can eat something in there after the sauna. For instance: some Finnish Makkara (sausages). This is its website and this is its address: Hämeentie 63. 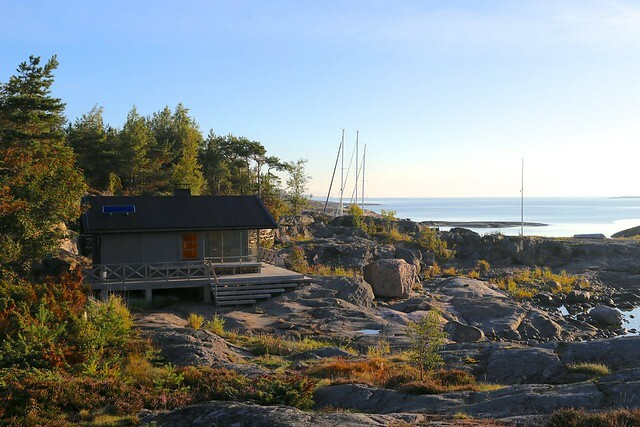 Saunasaari is the last sauna we talk about that you can find in Helsinki, and it is special. It is a sauna-island. Let us explain. It is located on an island 15 minutes from the center of Helsinki, when you take an aqua-taxi. It has different sauna rooms made out of wood, in the traditional way, and that you can rent individually for a day, catering included. The price, nonetheless, is a bit higher compared to the other places: 100 euros per person if you are in a 6 person group (but groups can be bigger, too). This is the official website. We include Tampere in this post for two reasons: Because it is easy to reach from different places due to the fact that Ryanair flies there – and this city was highlighted by the company as one of the gems to discover in Europe -, and secondly because the oldest public sauna in Finland is located there. It is still in use more than 100 years later and you can visit it. This Sauna is called Rajaportti (a word that means “door at the border”). It is in the outskirts of Tampere, in the street Pispalan Valtatie 9. Opened to the public since 1906 (Finland was still Russia back then), the type of sauna you can enjoy there is the wood sauna. In the sauna room you have a löyly: a human-shaped carved stone that you can throw water into and that will produce steam continuously. 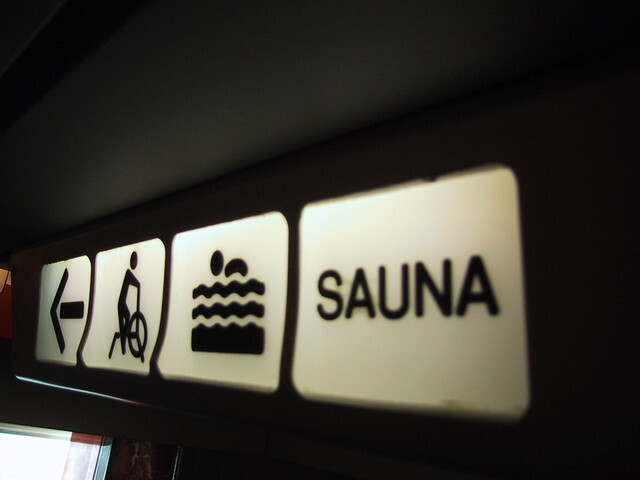 It is also called “the spirit of the sauna“. The dressing rooms are different for men and women, but the sauna room isn’t, making it different to the saunas we have seen in this post. The price per person is 5€ for each session, and it is only open for half of the week: Monday, Wednesday, Friday and Saturday. The rest of the days you can rent it for your private use. There is also a café in the building and an available physiotherapist. 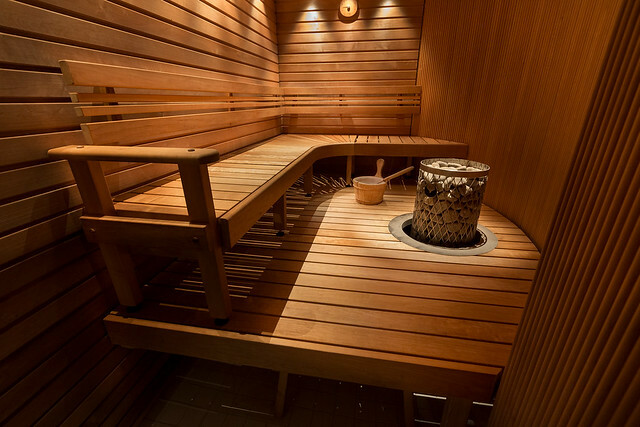 Have you ever been in a public sauna in Finland or in another country? How was the experience?